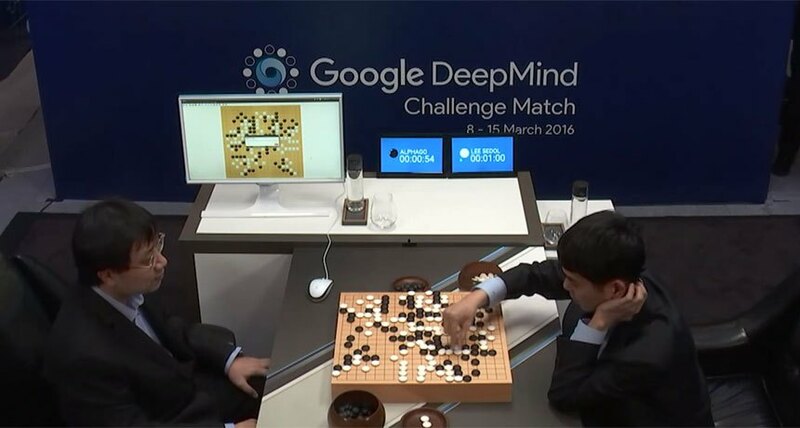 The idea behind beating humans at games has been in artificial intelligence since its birth. Initially, researchers created programs to beat humans at Tic Tac Toe and Chess (like, for example, IBM’s DeepBlue). However, those games’ intelligence was programmed from scratch by human minds. There were people writing the code that decided which move should be the next one. However, that manual approach to generate intelligence reached a limit: intelligence is so complex that we realized that it may be too difficult to manually write a program that emulates it. The results of that idea are programs that learn to play the games better than anyone in the world, even if nobody explains to the program how to play in the first place. For example, Google’s DeepMind company created AlphaGo Zero program uses that approach. The program was able to beat the best players of Go in the world. The company used the same approach to create programs that learnt to play Atari games, starting from zero knowledge. 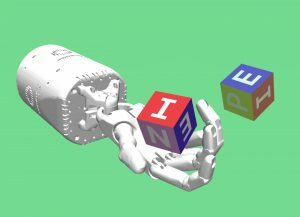 Recently, OpenAI used this approach for their bot program that beats pro players of the Dota 2 game. By the way, if you want to reproduce the results of the Atari games, OpenAI released the OpenAI Gym, containing all the code to start training your system with Atari games, and compare the performance against other people. What I took from those results is that the idea of making an intelligent system generate intelligence by itself is a good approach, and that the algorithms used for teaching can be used for making robots learn about their space (I’m not so optimistic about the way to encode the knowledge and to set the learning environment and stages, but that is another discussion). 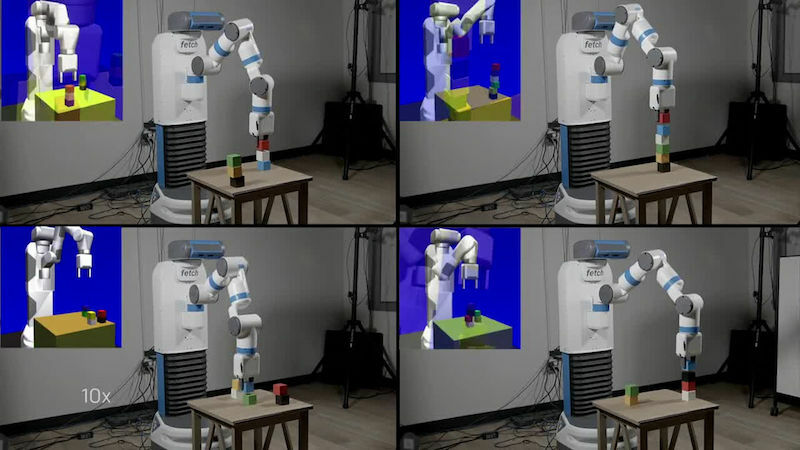 A similar approach was applied by OpenAI to a Fetch robot trained to grasp a spam box off of a table filled with different objects. The robot was trained in simulation and it was successfully transferred to the real robot. 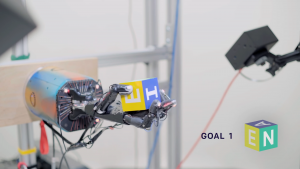 We are getting close to the holy grail in robotics, a complete self-learning system! That increase in the number of options diminishes the usefulness of the algorithms used for RL. Usually, the way to deal with the problem is with some artificial tricks, like discarding some of the information completely or discretizing the data values artificially, reducing the options to only a few. That leads us to the same solution again: to use simulations. 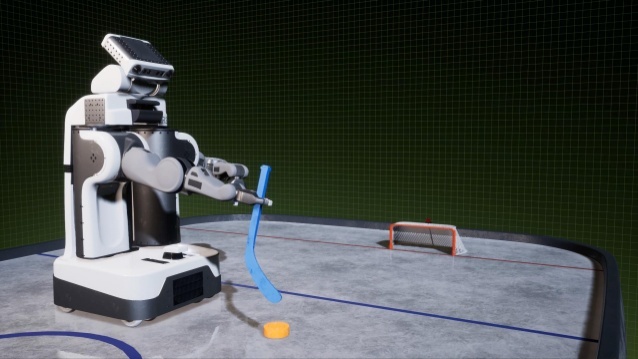 By using simulations, we can put any robot in any situation and train them there. Also, we can have virtually an infinite number of them training in parallel, and generate massive amounts of data in record time. 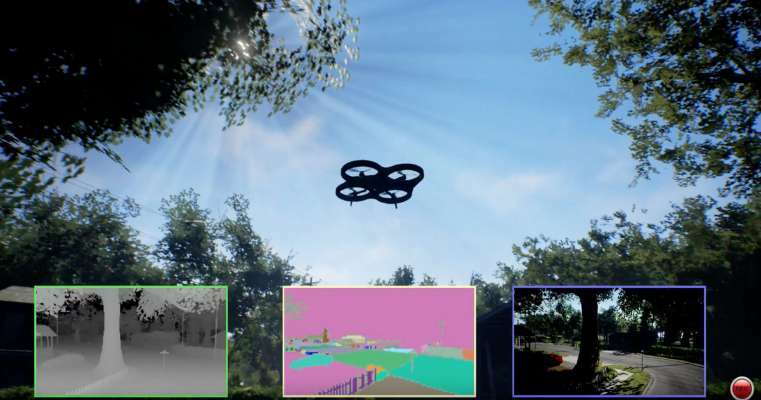 Even if that approach looks very clear right now, it was not three years ago when we created our company, The Construct, around robot simulations in the cloud. 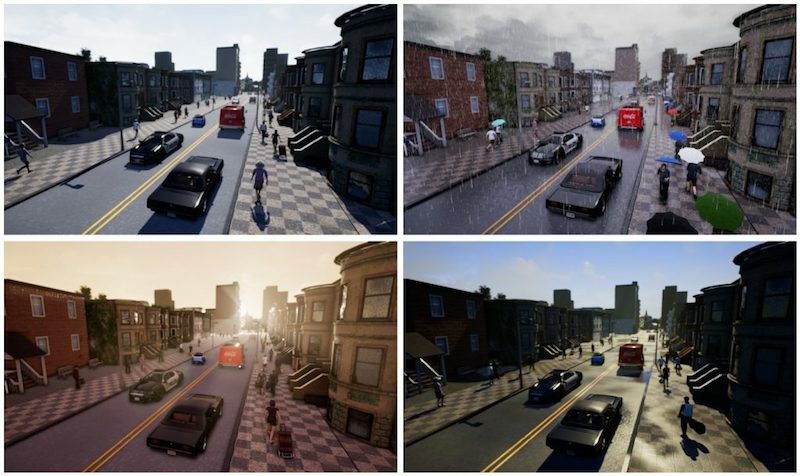 I remember exhibiting at the Innorobo 2015 exhibition and finding, after extensive interviews among all the other exhibitors, that only two among them were using simulations for their work. Furthermore, roboticists considered simulations to be something nasty to be avoided at all cost, since nothing can compare with the real robot (check here for a post I wrote about it at the time).